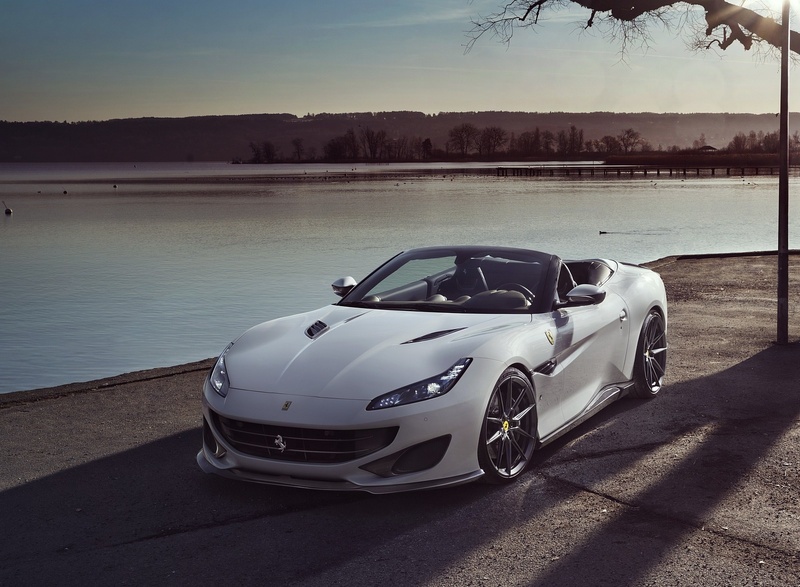 NOVITEC, the world’s leading refinement specialist for the sports cars from Maranello, now also offers an exclusive customization range for the Ferrari Portofino. 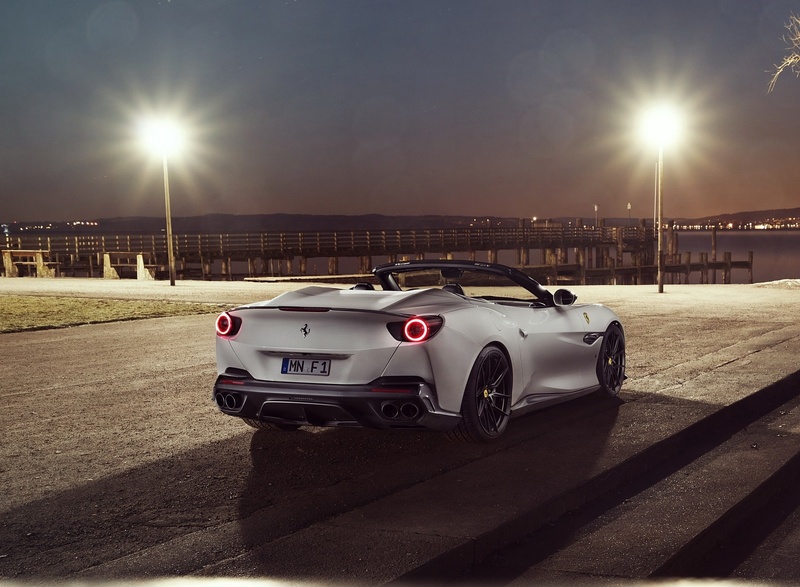 NOVITEC engine tuning is available in three levels for up to 61.8 kW / 84 hp more power: In the most powerful variant, the 2seater does away with zero to 100 km/h in just 3.2 seconds and reaches a top speed of 325 km/h. 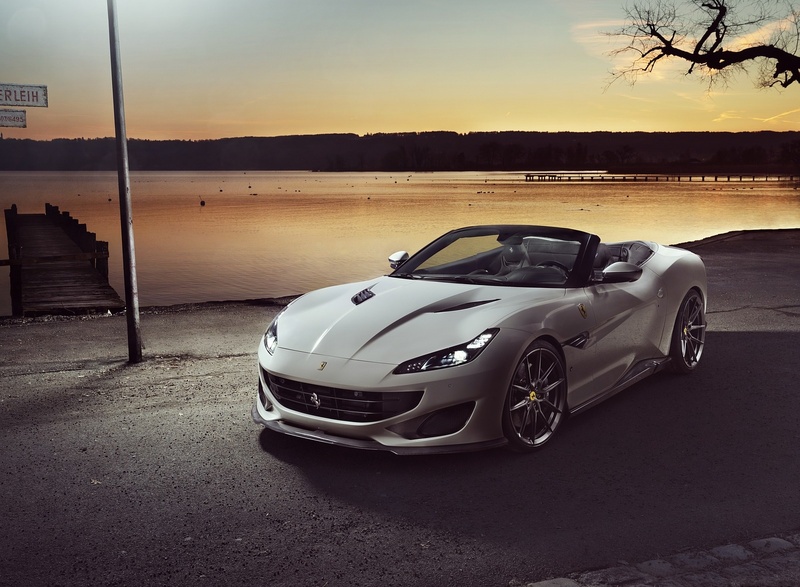 Tailor-made naked-carbon components give the open-top sports car a hefty dose of racing looks. 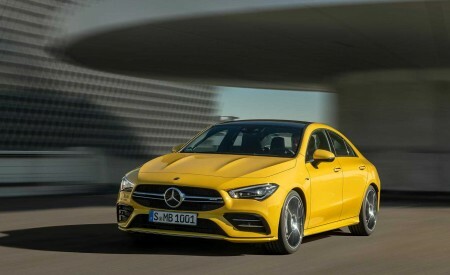 In addition, there are custom-tailored hi-tech forged rims, which thanks to their staggered combination of 21-inch wheels at the front and 22-inch wheels on the rear axle emphasize the wedge shape of the two-door. NOVITEC personalizes interior design in any desired color and with countless attractive designs. 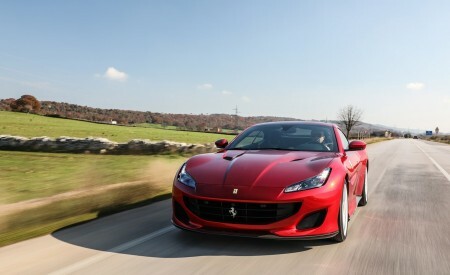 The 3.9-liter eight-cylinder with two turbochargers offers an excellent basis for powerful tuning. 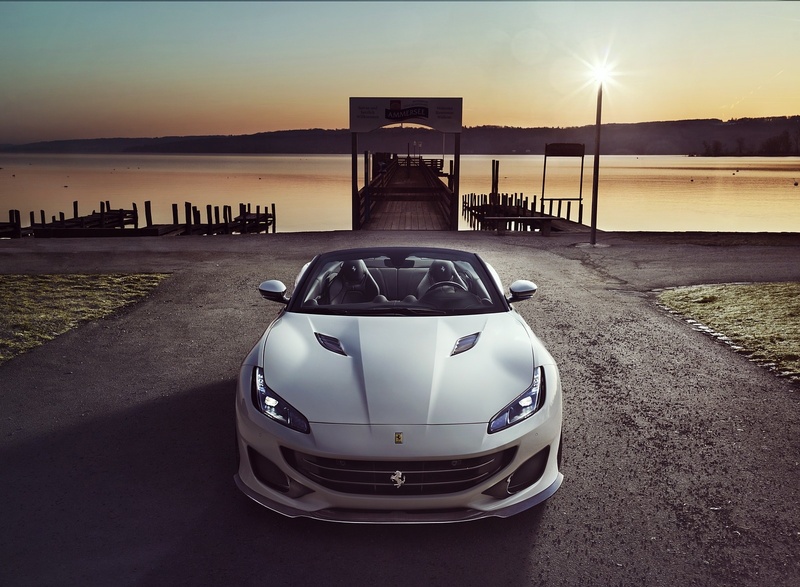 The NOVITEC engine specialists developed three different performance kits for the Portofino, which unleash the reserves buried in this engine to various extents without compromising the durability. An elaborate series of tests were conducted to develop special mapping for the two plug-and-play NOVITEC N-TRONIC modules, which are adapted to the electronic engine controls of the vehicle. They provide injection and ignition with performance-optimized mapping and increase the boost pressure as well. 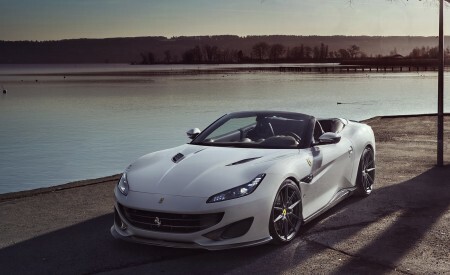 In this configuration, the engine puts out 491 kW / 668 hp and produces a peak torque of 851 Nm at 4,750 rpm. To optimize the power delivery further, the refinement specialist from Southern Germany also installs a NOVITEC high-performance exhaust system, which is available in various versions with or without sound management by means of integrated actively controlled exhaust flaps. Depending on the variant and the material used, stainless steel or the especially light and heat-resistant INCONEL, which is also the material of choice in Formula 1 racing, the exhaust system not only increases the power output even further, but also can save up to 11 kilograms in weight to boot. The performance can be upped further with 100-cell metal sports catalysts. In the topmost level, the NOVITEC-tuned twin-turbo V8 puts out 503 kW / 684 hp at a low 7,400 rpm. 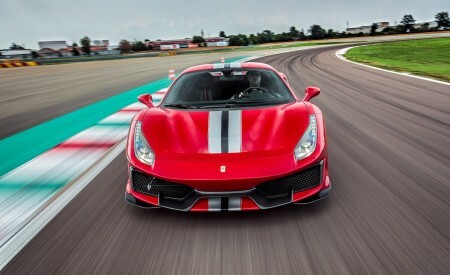 The peak torque of 871 Nm, up 91 Nm from the production car, is already on tap at 4,750 rpm. This, of course, also benefits the performance on the road. 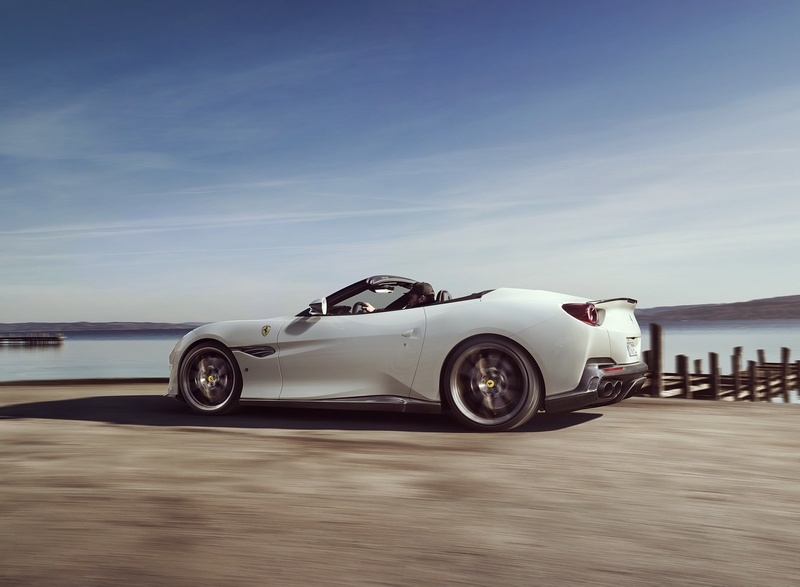 The tuned front-engine sports car reaches a speed of 100 km/h after just 3.2 seconds. 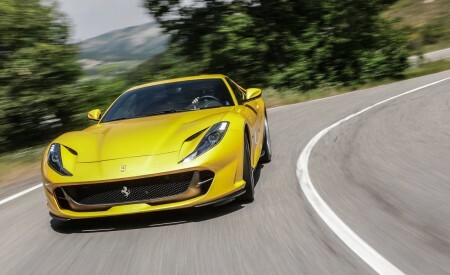 The top speed increases to 325 km/h. On the road, the NOVITEC performance upgrade is not only evident in the further improved acceleration and increased top speed, but also in an even more instantaneous throttle response and even more powerful in-gear acceleration. 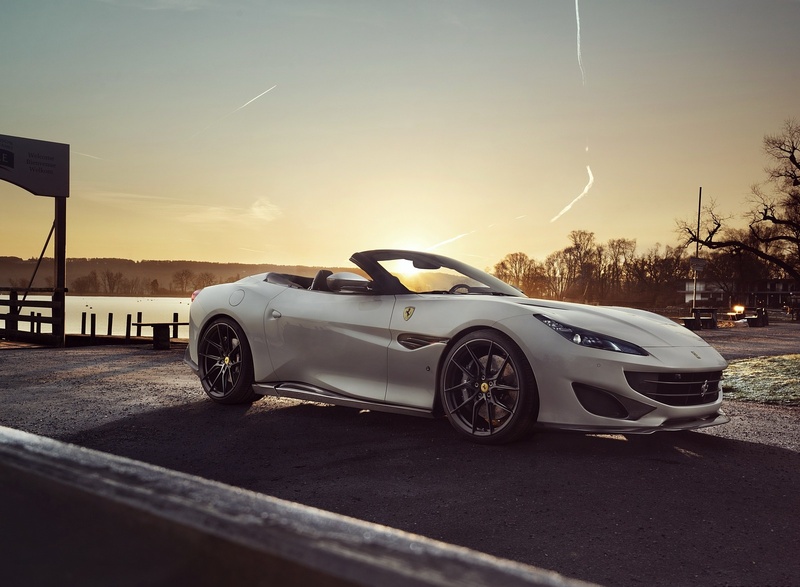 Of course, at the extremely high speeds the tuned Portofino is capable of reaching in just a few seconds, the aerodynamics also play an important role. The NOVITEC designers developed a tailor-made range of aerodynamic-enhancement components manufactured of naked carbon. 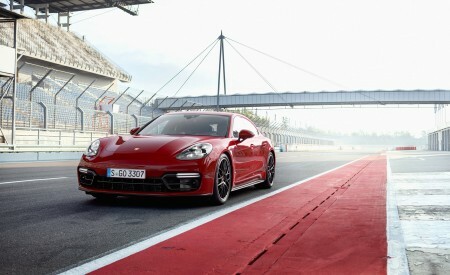 As a result, the looks of the two-door are geared towards motor racing. What is more: to achieve optimal aerodynamic efficiency, the shape of the new components was optimized in the wind tunnel. 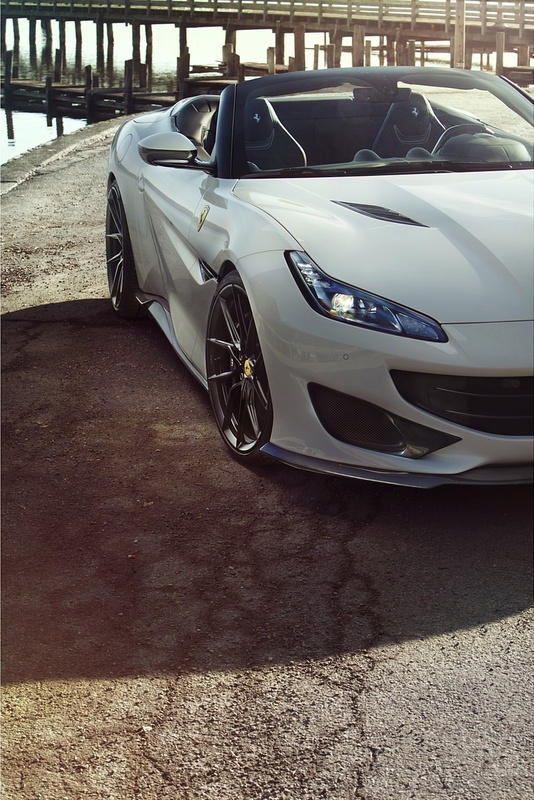 The NOVITEC front spoiler in concert with air deflector inserts for each of the two side air intakes in the front bumper gives the front-engine sports car an even more dynamic profile. 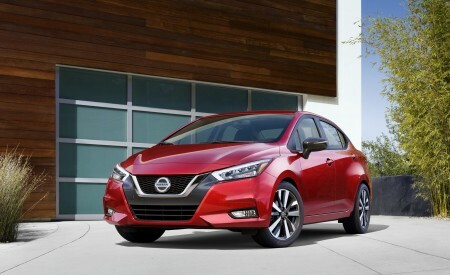 Their sophisticated shape also reduces front-axle lift, which optimizes the handling stability at high speeds. 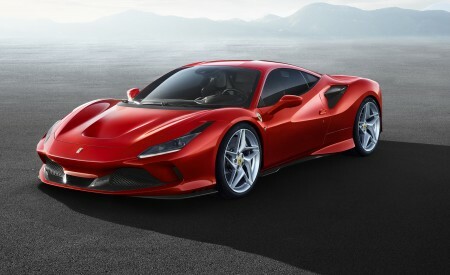 Tailor-made inserts for the two air intakes in the hood likewise sharpen the Ferrari’s profile, as do the gill-shaped surrounds for the side air vents in the front fenders. NOVITEC naked-carbon caps for the two side mirrors add further sporty highlights. The NOVITEC rocker panels add further visual pizazz to the sides of the vehicle: The aerodynamic-enhancement components calm the airflow between the front and rear wheel arches to boot. NOVITEC also delivers pure motor racing looks with the rear fascia attachment, which is naturally also produced from naked carbon. 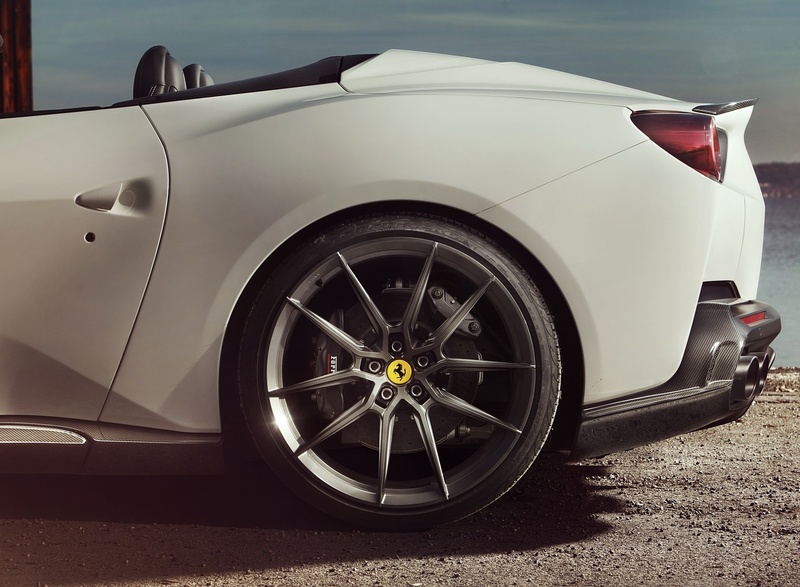 The NOVITEC rear spoiler lip enhances the rear appearance and minimizes rear-axle lift as well. 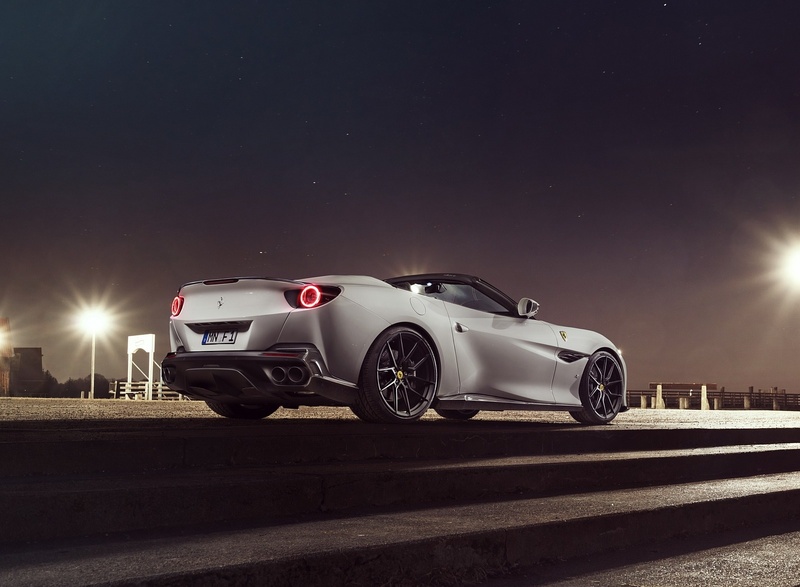 Thrilling looks and further upgraded driving dynamics are also provided by the NOVITEC forged rims, which were developed together with American wheel manufacturer Vossen and are available for the Portofino in two different designs. The host of different colors, optionally combined with a brushed or polished surface, adds even more variety. 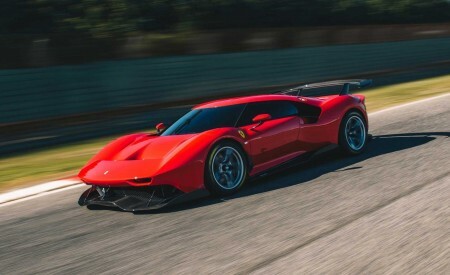 Both wheel models are mounted in a staggered combination of 21- and 22-inch diameter rims on the front and rear axle to put even more emphasis on the wedge shape of the Ferrari. Both variants come in sizes 9Jx21 at the front and 12Jx22 on the rear axle. 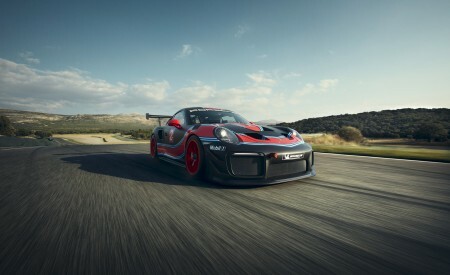 Technology partner Pirelli supplies high-performance tires custom-tailored specifically to this car. The front axle runs on size 255/30 ZR 21 tires. At the rear, tires of size 315/25 ZR 22 provide optimal traction. Five delicate pairs of spokes that extend all the way to the outer flange and thereby make the wheels seem even larger characterize both two wheels designs. The NF8 model features pairs of spokes that are slanted in the direction of travel to further improve the airflow through the wheel arches. Because this function only works optimally in the right direction of rotation, a different tailor-made NOVITEC NF8 Directional wheel has to be manufactured for each corner. 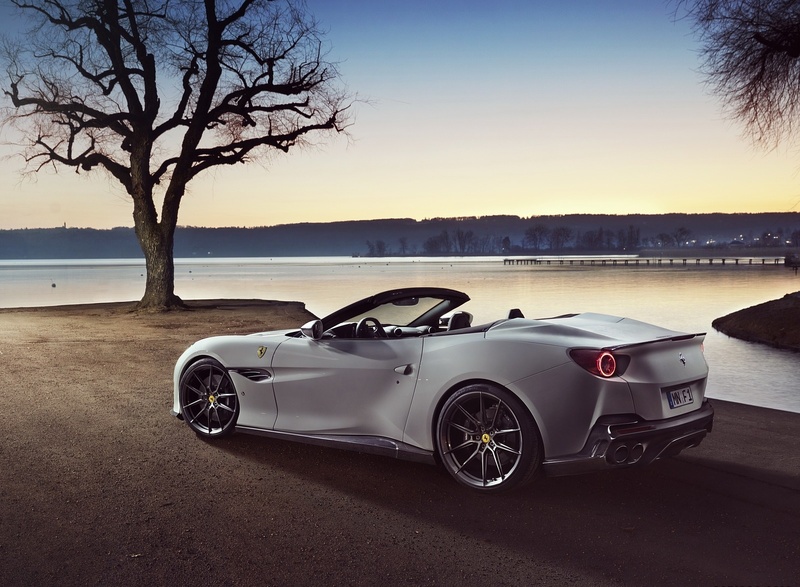 To make the car’s agile handling even more instantaneous and give it an even more thrilling appearance, NOVITEC installs sport springs to lower the ride height of the Italian hardtop convertible by about 35 millimeters. 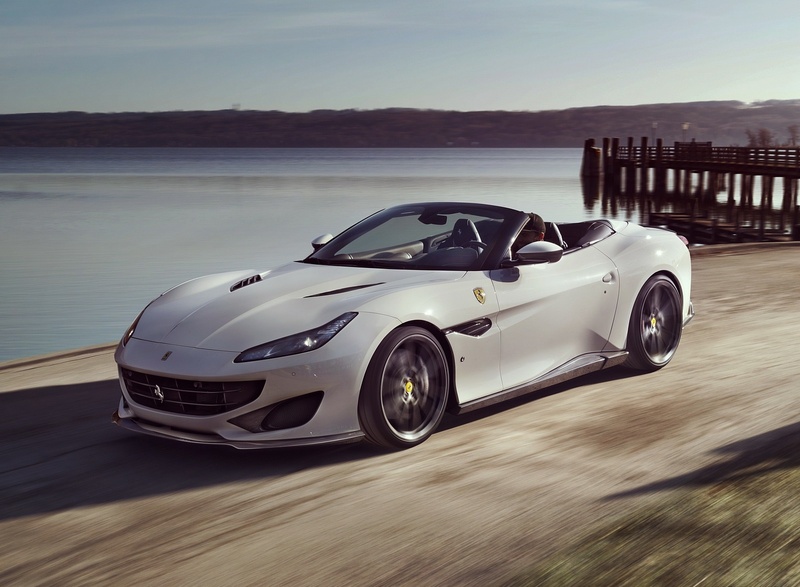 In addition, the suspension engineers developed a feature that gives the Portofino even greater daily practicality. The hydraulic front-lift system enables the driver to raise the front by 40 millimeters from the cockpit. This makes it easier to navigate ramps of underground parking garages or speed tables. By tapping the button or automatically upon reaching a speed of 80 km/h, the front end lowers itself back to the original position. 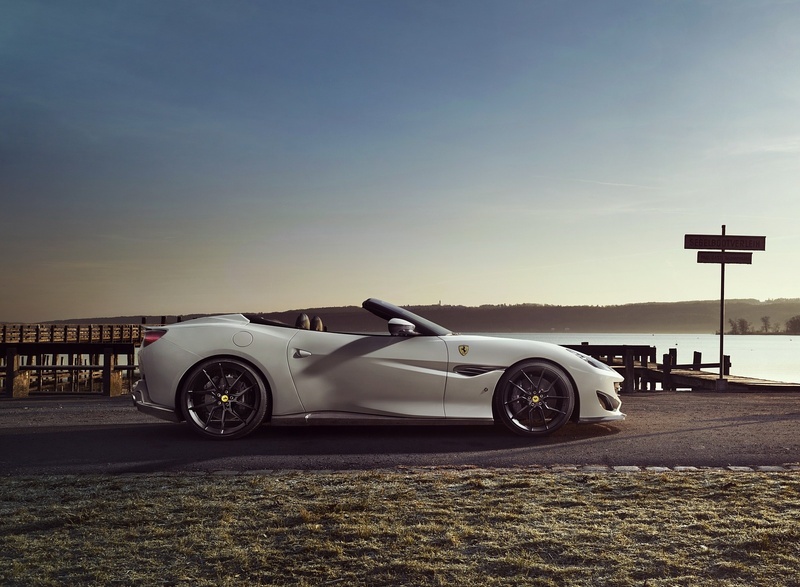 NOVITEC can also make the personal requests of any Ferrari owner a reality when it comes to the interior. Exclusive NOVITEC interior appointments made of the finest leather and Alcantara captivate with the perfection of their workmanship and the variety of available colors and patterns for the upholstery.